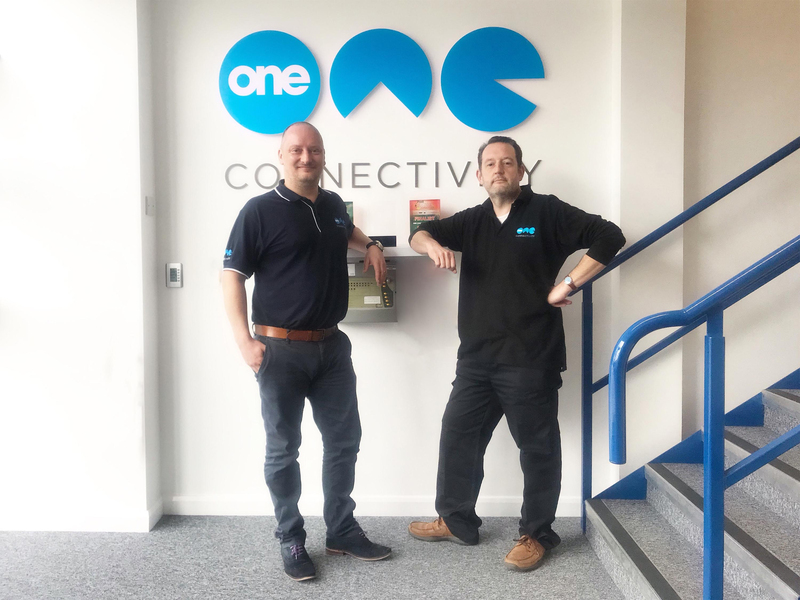 One Connectivity is a communications provider based in Castle Donington that services customers all over the UK. After five successful years of trading in business telecoms they were able to move from their base in Nottinghamshire to bigger premises in Castle Donington, Derbyshire. Within three months of the move, One Connectivity acquired Midlands business, Elite Telecoms (Midlands) Limited. One Connectivity and Elite Telecom have worked together in the past, and felt it was the right time for an acquisition which will allow One Connectivity to recruit further team members and continue with their business growth plans. Chris Cowling, the previous Director of Elite Telecoms’ has now joined the team at Castle Donington as part of the acquisition and will ensure client transfers are made seamlessly. Chris has many years’ of management and technical experience, which benefits One Connectivity. This hasn’t been the only recent positive news for One Connectivity this year so far. On the 7th of March they were invited to attend an awards ceremony and gala dinner at St Ermin’s Hotel in London by nationally recognised and specialist company, Pragma Technology. One Connectivity proudly went on to win the ‘Fastest Growing Reseller of 2019’ award which has come after just two years of being partnered with Pragma. One Connectivity believe in giving their customers a first-class service and offer the most suitable advice to businesses, nationwide. They project manage any changes that a business requires and ensures the correct product with the relevant support package is received.